The right protection when the cold gets tough. 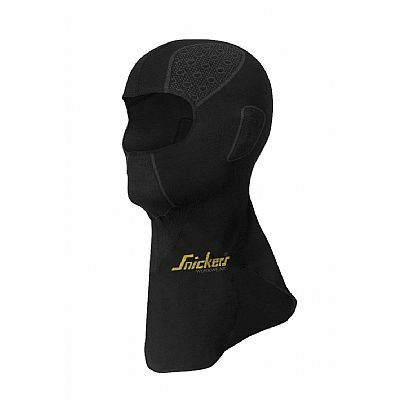 This Snickers FlexiWork Seamless Balaclava has been developed to offer warmth and weather protection when used under a hard hat. Soft, great comfort while light and thin for a great fit. Perfectly shaped to cover the neck, reaching down to overlap the chest, back and shoulders. Mesh knit ventilation on chosen areas, over the ears to facilitate hearing, and on the front for easy breathing when you pull up the balaclava for protection of chin, mouth and nose.